Wavescape, proud to have become one of Cape Town’s premier summer festivals. 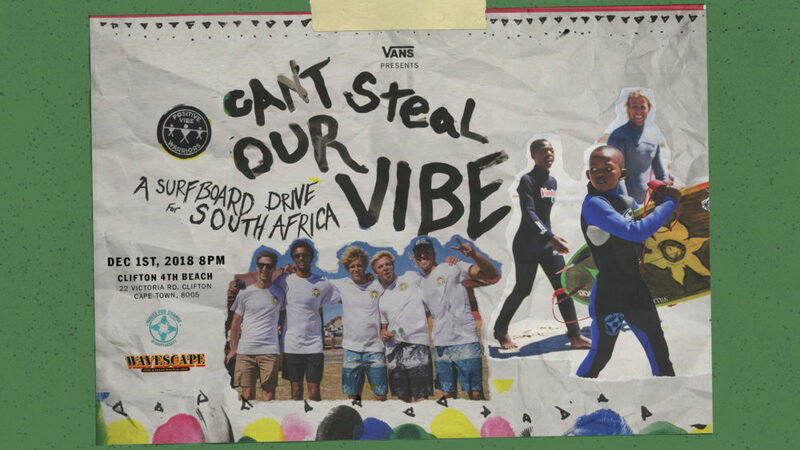 Vans invite you to the screening of the Can’t Steal Our Vibe documentary film at the Wavescape Surf & Ocean Festival 2018. Can’t Steal Our Vibe follows a grassroots initiative by Positive Vibe Warriors Foundation and The Waves for Change Organisation aimed at inspiring individuals to make a positive impact within their communities. Set in South Africa, it features pro surfers Patrick, Dane, and Tanner Gudauskas, and South African pro-Michael February. The evening will also include a screening of Blue Intensity, an exhilarating short film by George Trim featuring the most epic waves. SAND IN THE SKY from gnarly bay on Vimeo.